As the opioid crisis reaches an epidemic level, with addictions and overdoses increasing at an alarming rate, pharmaceutical experts are actively searching for alternatives for chronic pain relief. 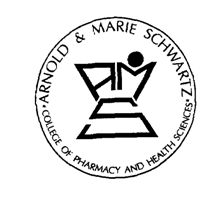 In an article published by Pharmacy Today, Dr. Billy Sin, PharmD, MBA, BCPS, assistant professor of pharmacy practice at Long Island University’s Arnold and Marie Schwartz College of Pharmacy and Health Sciences (LIU Pharmacy) and director of the emergency medicine clinical research program at The Brooklyn Hospital Center, discussed the rising threat of opioid misuse and a recent study that reports some nonopioids have been proven as effective in short-term pain relief and management. “The opioid crisis continues to affect our society every day, and it is getting bigger and more severe. Since 2015, there has been a staggering 17% increase in number of deaths caused by drug overdose,” Sin said in the article. Read more here about the article in Pharmacy Today, an official publication of the American Pharmacists Association.